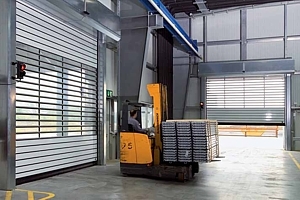 High Speed Doors are used for many applications where high traffic volumes require a door to keep a building environment and temperature as constant as possible. It will keep the temperature inside a building as stable as possible whilst traffic enters and exits all day long. 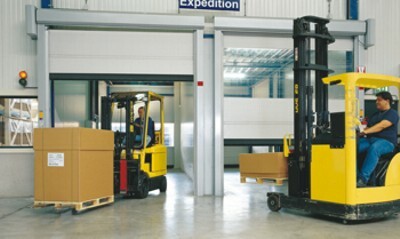 During winter months savings in heating costs can be enormous whilst maintaining a pleasant atmosphere for staff inside. It will provide valuable energy saving by maintaining the internal room temperature and also reduce contamination from airborne pollution and ingress of insects and vermin, essential in controlled warehouses, factories and buildings. 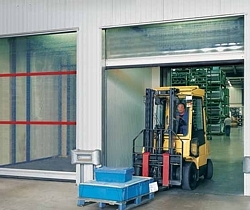 Samson can provide high quality products capable of making your business run smoother and more efficiently with highest quality doors for any building with high levels of traffic in and out. We offer a full range of traditional high speed doors for existing openings requiring control of temperature and climate from leading high speed door manufacturers including Hormann. 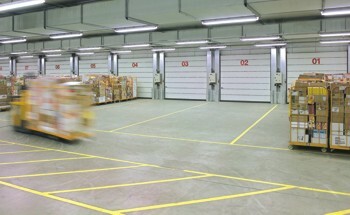 Some models are specifically designed to keep cold in for refrigerated rooms, warehouses, etc.. High speed (or 'fast action') doors are usually manufactured from very strong material with the option of clear vision panels built in so you can see what may be happening on the other side of the closed door. 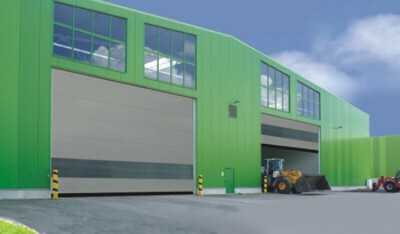 Samson also offer a range of high speed aluminium roller doors and 'spiral' doors an adaptation on a sectional door but operating at high speed. 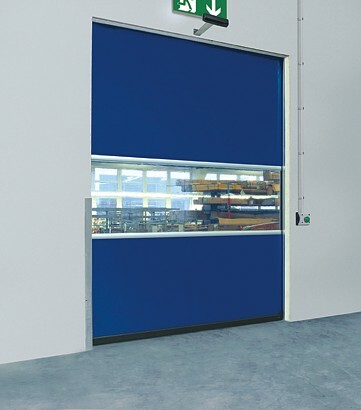 The Hormann HSS 6530 speed roller door is one of only a limited specification insulated high speed roller doors in aluminium sections, available with punched and glazed vision panels. 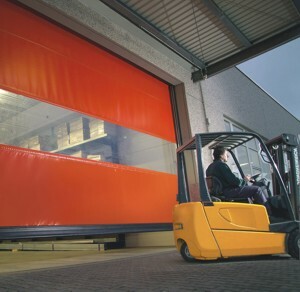 This roller door offers the best of both worlds, a secure roller door combined with high speed opening and closing - a true engineering masterpiece. All the doors we supply meet the very highest levels of safety and are tested, CE approved and offer long term durability through some very technologically advanced features. 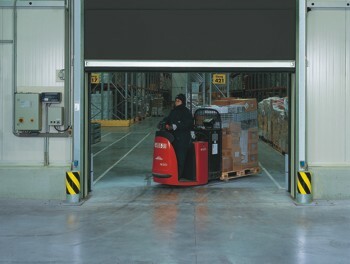 Samson can offer over 10 different types of high speed roller doors. 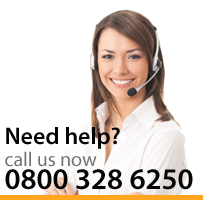 We offer a full survey, supply and installation service for all the doors along with service, repairs and maintenance packages to suit your doors. Our range includes both vertically and horizontally opening transparent doors with a flexible curtain. 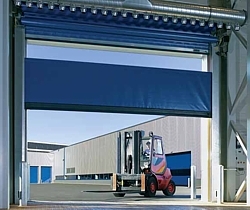 They are readily available to be installed in combination with sectional overhead doors and roller shutters, as well as with the powerful new technology of the spiral doors with smooth, strong aluminium profiles.Contact us today for more information on 0800 328 6250 to discuss your requirements.